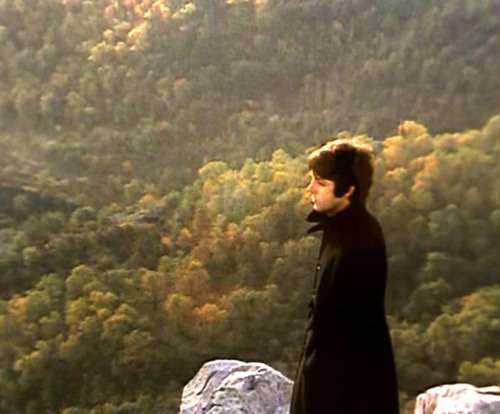 Paul McCartney, Mercury Rx in Gemini sings The Fool on the Hill, a song which seems to describe this Mercury station perfectly. The little god of prestidigitation is standing perfectly still. For a moment in time, he looks both ways: into the future and into the past. Then he starts to go backwards. Think of how odd it looks in a movie when the broken glass and water on the floor magically swooshes up and reforms. The film is running backwards. During a Mercury Rx, that glass might reform as a balloon or a jet engine: things won’t just go back to how they were. Nothing is so predictable. Mercury experiments with the past, blowing the glass into different shapes, and imagining new futures. Mercury is muscular in his Gemini garb — the troubadour’s parti-coloured clothes, the salesman’s suit, the magician’s cloak. His powers of speech and persuasion are legendary here. The doubling planet in the doubling sign. So what happens when he is turned back on himself? The possibilities multiply. When the words of The Fool On The Hill came to me as I was thinking about this piece, I looked up Paul McCartney’s birth data. He is a classic Peter Panish Gemini Sun with musical, artistic Pisces Rising, and his Mercury is Retrograde in Gemini. It’s when he looked backwards that he produced some of his greatest songs. Penny Lane and Eleanor Rigby are perfect Mercury Rx story songs too. Another wordsmith with Mercury Rx in Gemini is Anne Frank, whose diary is still read by every literate girl. She was, of course, trapped in a house in Amsterdam when she wrote it, forced to look inward. Mercury Rx is a period of reflection and retreat, a time to retrace our footsteps, a second chance. It’s a good time to articulate some questions about your life. Look deep and don’t take your first answer. Here are some suggestions to get you started. Look at your Rising sign and your Sun sign. Do I listen to my friends, my brothers and sisters? Who am I? Am I really my own evil twin? How can I retreat and still be in the world? Who do I know? Can I trust them? Is my career really going the way it should? Do I need to rethink the way I present myself? What do I know? Can I trust that? Do I use other people for my own pleasure? If so, what good does that really do to me? Do I really love this person? Or do I want this person in my life? Who are my family? Is my home right for me? Well, this is surely going to be a lot of ‘fun’. On May 1st Mercury went into his shadow and yours truly just went and accidentally cancelled her e-mail account. Of course at the time I was doing two things at once and there he tricked me again. Serves me right for not paying attention properly. Have been busy all week getting my e-mail account back, but unfortunately lost a lot of e-mails I was hanging on to. I’m going to be very, very cautious for the rest of this retrograde and his shadowperiod. Yes, I am too. Usually I can be quite blasé about Merc Rx and the communications tangles etc, but I really did advise horoscope subscribers to take the warnings seriously this time.